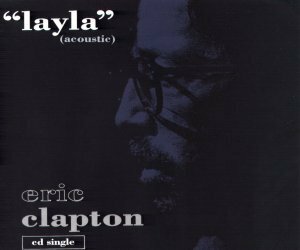 Taken from the album "Unplugged"
The song Layla is one of those songs that you can turn it from a raging guitar beast into a lulling ballad of lost love without any serious repercussions. It's an amazing song no matter how he plays it. Tears in heaven on the other hand is an incredibly haunting and beautiful song about a father's grief over losing his son. Two of the best songs in Eric Clapton's career.